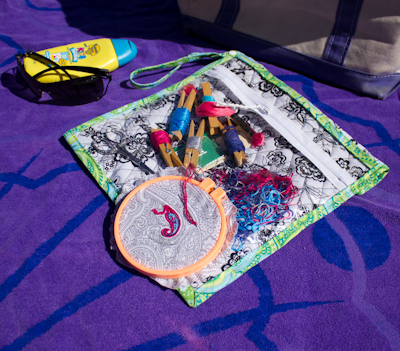 You are here: Home / Bags / Guest Post: The “You Can Take It With You” Embroidery Project Bag! Dude! 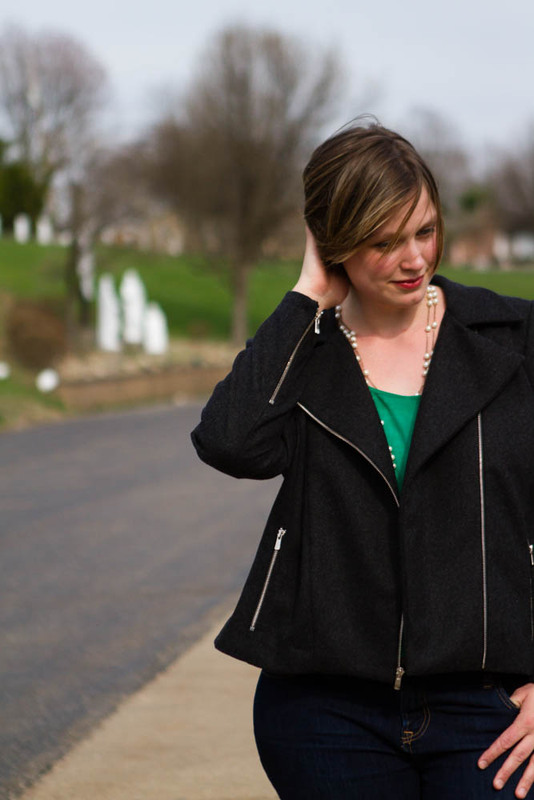 I’m over at Sew, Mama, Sew! today!!!!! (I may be just a little excited.) 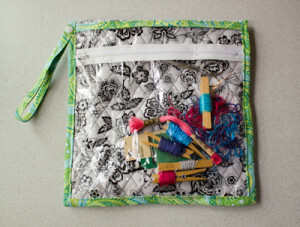 I am sharing how to make a handy project bag for embroidery supplies. 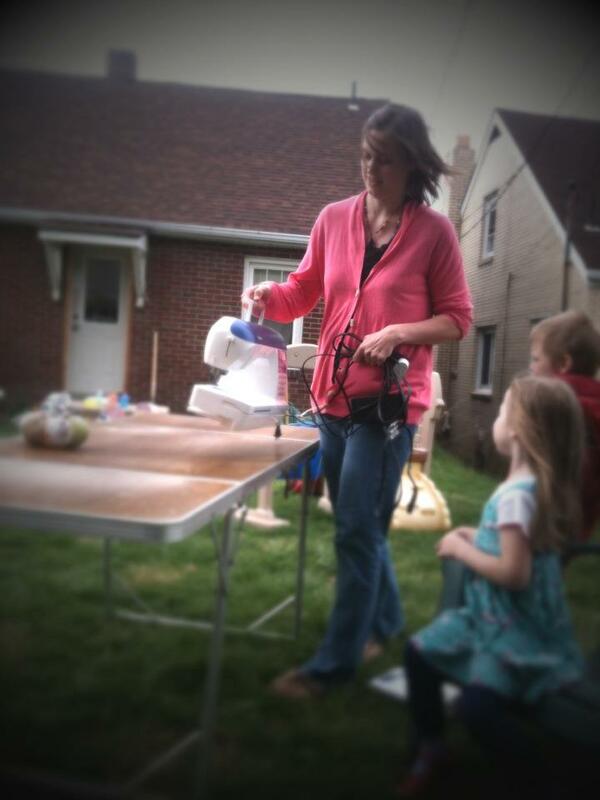 This summer, I’m making an effort take the kids outside to play, instead of making them watch “How It’s Made” while I putter the day away at my sewing machine. 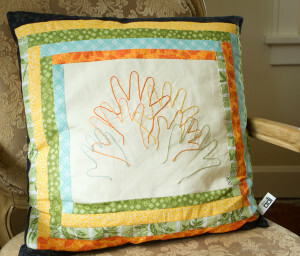 Embroidery lets me satisfy my Need To Sew, without resorting to hauling my sewing machine outside again. I am keeping my current project safe and close at hand with the “You Can Take It With You” bag. 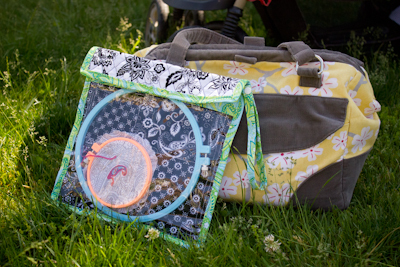 It has two pockets, one for your hoops and the other for your floss and needles and snips. 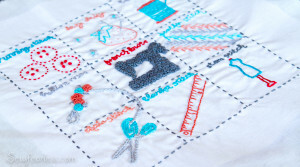 Hop on over to Sew, Mama, Sew and let me show what a fun little project it is! If you are interested in learning more about embroidery, I learned a ton from We Love French Knots – Modern Embroidery Inspired By Grandma. Past embroidery projects I’ve enjoyed…. Oh, I have to make a couple of these! Awesome idea, Jodi! 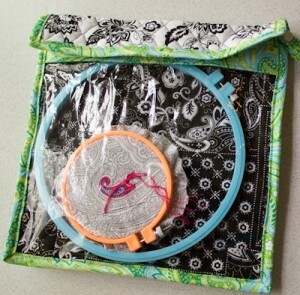 Found your blog via Sew Mama Sew; I love your patterns and can’t wait to make the little suitcase for my daughter. I also would love to know about that lovely yellow and grey bag shown with the finished project. Can you tell me if you bought it, or made it, and if so, what pattern you used? Thanks! I made it. 🙂 And I am working on the pattern. Just wanted to let you know I made this bag. Great tutorial but I rated it advance because of the lack of a teflon foot and struggling to keep fabric layers and vinyl on track – together. Although I do admit to not changing my needle – which may have helped. Thank you. Love the details from this bag. I like your yellow and grey bag too. Cool. Thanks for letting me see your bag! I’m sorry you had such a struggle with the vinyl. That must have put such a damper on your enjoyment of the project. From what you described, it does sound like it is a presser foot pressure issue. You don’t need a “smart” machine to adjust that. All sewing machines (to my knowledge) have a little dial or screw to adjust the pressure with. Check your sewing machine manual for how to handle your particular machine. Another thing that could help is how the binding is applied. I didn’t pre-pin the binding. I positioned it as I went, and I sewed it on using the “cheater” method. This prevents the “twisting and puckering problems” that sewing it on, one side at a time can cause. You have done the great job, Jodi ! , I like it you embroidery designs .